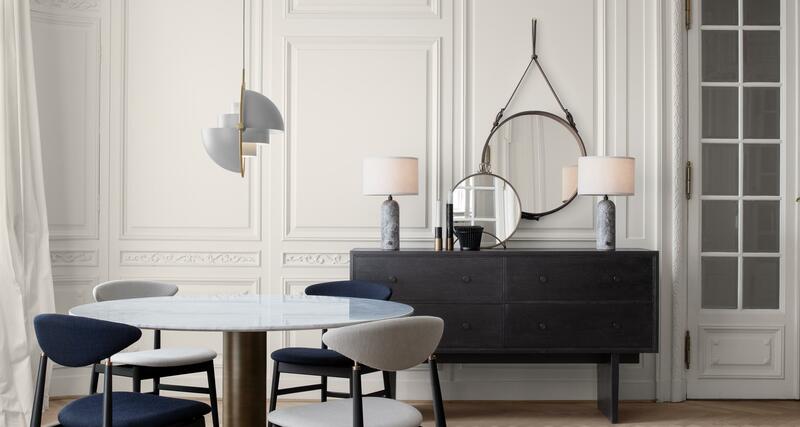 The Gubi Adnet Wall Mirror - Alcantara features the remarkable and extremely durable Alcantara fabric which has a tactile feel and aesthetic qualities. Integrating metal and glass, the elegant, distinctive round mirror has equestrian inspired detailing giving it a timeless and sculptural feel. Designed by Jacques Adnet, French arcitect and Art Deco Modernist designer. Features distinctive equestrian-inspired leather strap detailing.